You may have heard that humans are 99.9% the same as each other. Well, not anymore. New research is showing that we are less alike than this. There isn't an exact number yet but the new number is probably somewhere between 99.0 and 99.9%. What happened? What have scientists been finding that makes us all less alike? They've been discovering that we don't just have differences within our genes. We also have differences in the number of copies of our genes as well. This forces us to rethink how genetics works, how we do genetic testing, what makes us different from a chimpanzee, why some of us are more prone to illness and some of us more resistant, etc. This new research is changing how we think about how our DNA works and why we are who we are. This is huge. The idea that we are all 99.9% the same came from looking for differences in our DNA letter by letter. We see the newly discovered differences by looking at big chunks of our DNA all at once. Let's use a cookbook analogy to show you what I am talking about here. 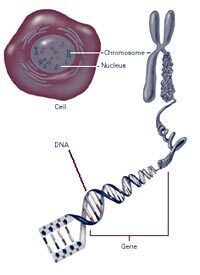 Our DNA has 6 billion letters cut up into 46 different strings of "text" (called chromosomes). Imagine that this DNA is a library of 46 cookbooks. Just like cookbooks, our chromosomes have recipes too. The recipes are made of sets of instructions called genes. And the genes are written in three letter words called codons. Get a glass. Fill the glass with milk. Add 2 tbsp of chocolate powder. Stir. Get a glass. Fill the glass with silk. Add 2 tbsp of chocolate powder. Stir. Get a glass. Fill the glass with milk. Add 2 tsp of chocolate powder. Stir. Now instead of a glass of chocolate milk, you get a glass of chocolate silk. Or in the second case, a very weak glass of chocolate milk. This is how DNA works too. A change in a letter can cause a change in how a gene gets used. Or whether it gets used at all. Get a glass. Fill the glass with milk. Add 2 tbsp of chocolate powder. Add 2 tbsp of chocolate powder. Stir. Now you're going to get a stronger chocolate milk. Or imagine the whole recipe just repeats. Now you get twice as much chocolate milk. Until a few years ago, scientists thought that most of our differences came from small changes in our DNA. The idea was that every 1000 letters or so, you and I have a different letter. These 6 million differences made me distinct from you. But over the past few years, scientists have started to notice changes where big chunks of DNA are repeated. Or missing. As they looked harder, more and more of these changes became apparent. As of November 2006, more than 600 of these CNVs had been identified that covered 104 million DNA letters (called bases). That's 4% of our DNA! Now a new paper in the journal Nature shows there are even more than this. The researchers found 1447 of these big changes that spanned 360 million letters. Now we're up to 12% of all of our DNA. And because of how they did the work, this is probably an underestimate. In other words, even more of our DNA probably has changes like these. A lot of this repeated DNA includes genes. 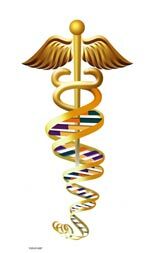 Which means people not only have differences within their genes, but also in the number of their genes. We are definitely not as alike as we once believed. And genes are the recipes. The big deal is that these changes can have profound effects on our health and who we are. And no one was looking for these changes before. Let's look at Down syndrome to give you an idea about how profound these effects can be. Down syndrome happens when someone has an extra chromosome 21. Now it isn't the extra chromosome 21 that causes the problems...it is the extra 225 genes that are found on the chromosome. And in fact, you don't need to have extra copies of all these genes to have Down syndrome symptoms. There are some people with Down syndrome who only have an extra piece of chromosome 21. By looking at many of these patients, scientists have narrowed the region that causes Down syndrome to 33 genes. In other words, when your body has an extra copy of 33 genes, you can end up having Down syndrome. And the new changes we're talking about involve hundreds of genes. Of course, any repeats with symptoms as severe as those of Down syndrome would not have been passed down in the past. So we are looking at a set of repeats or missing DNA that is tolerable or even enhances survival. But the Down syndrome case shows how extra copies of even a few genes can have huge effects on our bodies. So there are bound to be some of these changes that affect our health too. And like I said, scientists weren't looking for these changes before. Which means we may need to look back at a whole lot of our older genetic studies to see how these changes might influence the scientists' conclusions. Their previous conclusions might have been incomplete. Or even wrong. Let's look at an interesting case to show you what I mean. Some people are naturally resistant to being infected by the virus HIV. This means they are less likely to end up with AIDS. Studies looking for smaller DNA changes turned up one in a gene called CCR5. 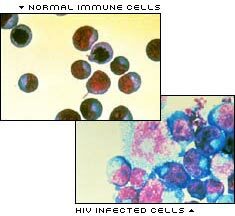 CCR5 is important for letting HIV into our blood cells. Some people have a small 32 letter change called delta 32 that makes it so HIV can't get into our cells as easily. But this doesn't explain all of HIV resistance. Some people without this version of the CCR5 gene are resistant too. And some of these folks are resistant because they have extra copies of a gene called CCL3L1. Now older studies would have missed this. They would have looked at the DNA of resistant and sensitive people for the smaller DNA differences. Because of how these studies are done, the CCL3L1 gene would not have looked different. In other words, they would have missed this gene as a cause for HIV resistance. Scientists might have proposed something in the environment or that lots of genes are involved or any number of other possibilities to explain why these people are resistant. None of which would be right. Let's take it a step further. Imagine someone was going to make a genetic test for HIV resistance. Using the old way, the test would only look for the CCR5 delta 32 gene version. And would miss the people with extra copies of the CCL3L1 gene. In other words, lots of people who were actually resistant would come up as potentially sensitive in the test. This genetic test would not give us the best possible results. A new genetic test would need to be designed that looks at changes within CCR5 and in the number of copies of CCL3L1. Now repeat this process for all of the studies we've already done looking for breast cancer susceptibility, diabetes, autism, etc. I think that gives you a feel for the magnitude of change we are talking about here. So we need to look over all of our old experiments and see whether we need to reinterpret them in light of CNVs. And we need to redesign genetic tests to look for and find them. And that's not all. These changes might help us better understand some seemingly unexplainable diseases. They might also show that genetics plays an even bigger role in disease than we thought. And it makes us rethink how similar we are to other animals as well. Looking at changes within genes, we are somewhere around 96% the same as a chimpanzee at the DNA level. What will it be if we include big changes as well? As you can tell, scientists have their work cut out for them. The existence of CNVs shines light on areas of the genome that were dark before. They may help us understand ourselves better and explain why we are the way we are.